Meals Made Simple brings culinary excitement to the health enhancing world of low-carb and gluten-free. For anyone who embraces the notion that food matters in terms of health and longevity, this book is a treasure. What’s healthy, uncomplicated and definitely not boring? Well, practically any of self-trained chef Danielle Walker’s recipes in her newest cookbook, Meals Made Simple. In fact, all of the Against All Grain blogger’s meals are gluten and dairy-free — meaning you can finally enjoy dinner without feeling too bad about going for that second helping of dessert. 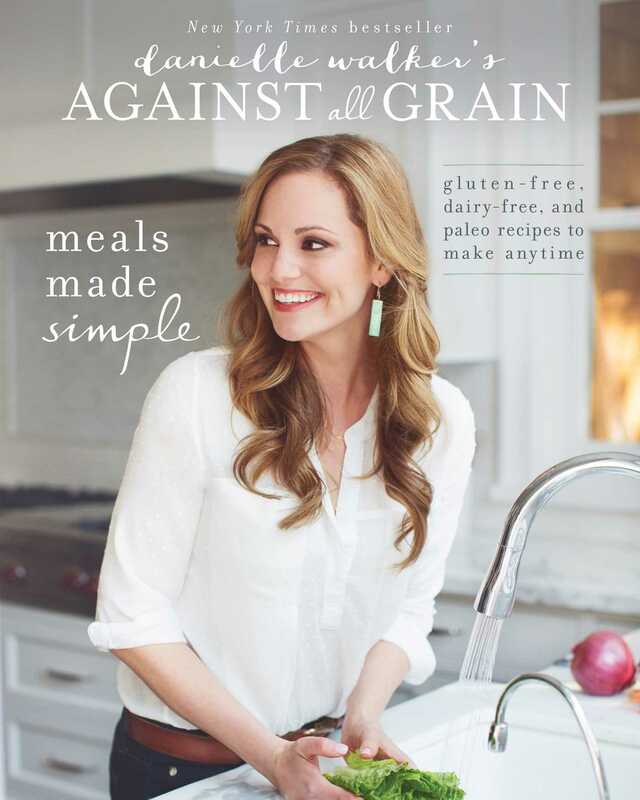 Danielle Walker’s first book --was (and still is) a gangbuster hit, so trust me when I tell you that her second book, Against All Grain: Meals Made Simple, is just as exciting and eye-opening when it comes to eating a gluten free and/or paleo diet. I was looking to try out a recipe or two from the book but while reading it everything looked so amazing I ended up putting tabs on more than half of the pages. After her debut paleo recipe title Against All Grain soared to the New York Times Bestseller list in 2013, she nails it again with inspiring, beautifully photographed recipes that sound incredible—and are all made sans dairy or grains. This time around, you also get 8 weeks of meal plans and shopping lists.